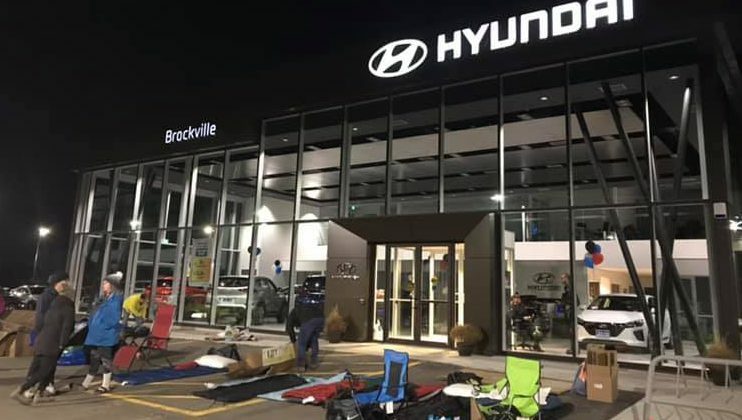 Students from the Mental Wellness and Addiction program at St. Lawrence College stayed overnight in the parking lot of Brockville Hyundai. 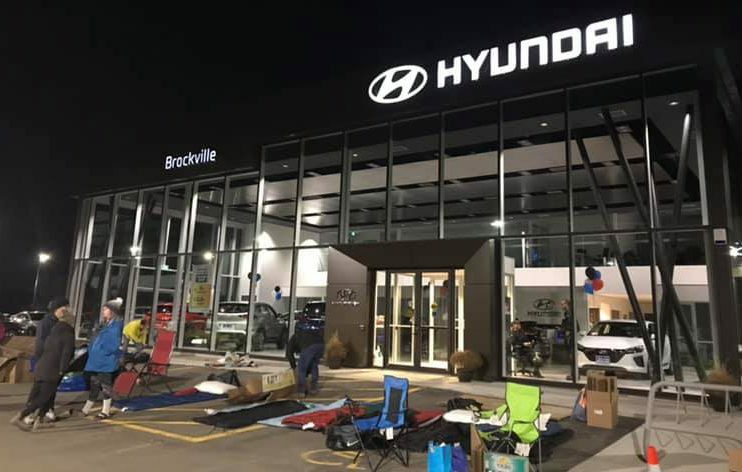 The Sleep Out To Sleep In was held Wednesday. A total of 35 youth took part. The goal of the event was to raise money and awareness for the youth homelessness initiative. The students wanted to put themselves in the shoes of kids who are forced to sleep on the streets. Mallory Poirier, one of the participating students, says the change of scenery and living situation made for a very tough night of sleep. She says the lack of sleep was worth it though and the night was a success. Over $1,500 was raised for Connect Youth. Poirier says they chose to raise awareness for youth homelessness because it felt relatable, as one of her classmates was actually homeless for a period of time. She also says supporting Connect Youth made sense because it’s a local organization that would make more of an impact. The Mental Wellness and Addiction program’s GoFundMe page is open until the end of March. To make a donation to support Connect Youth, click here.